Oregon's favorite hangout for the entire family! Do you have at least 2 years of restaurant or bar experience and are looking for a fast paced new job? Print out our job application and bring it in. If you enjoy keeping busy and working with the public, see if Luckies Barn and Grill might be a good fit for you. 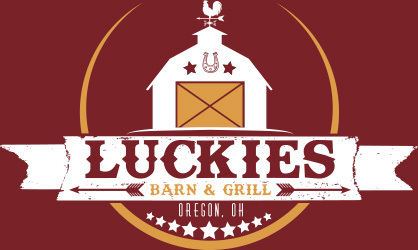 Call ahead at 419-725-4747 if you have any questions and then bring in your application to Luckies Barn and Grill 3310 Navarre Avenue Oregon, OH. Copyright 2012 - 2018 Luckies Barn & Grill | All Rights Reserved | Managed by Turner Custom Design, Inc.